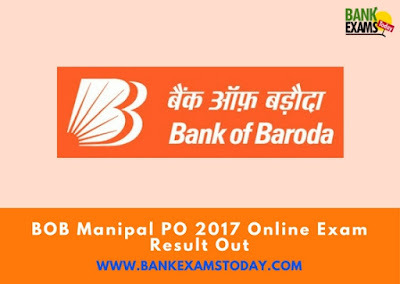 The Bank of Baroda (BOB) has published the online written examination result for the post of Probationary Officer in JMGS - I for 9 months campus programme in Manipal School of Banking. The online examination was held on 27th May, 2017. Personal Interview (PI). No other communication/ physical letter will be sent to the candidates. exercise (i.e. after GD & PI).